2012-01-22 15:13:41 Dunston Business Village featured on the BBC! 2012-01-22 14:48:13 Running out of space! 2012-01-04 15:15:45 Move your Business to DBV and keep your old telephone numbers! 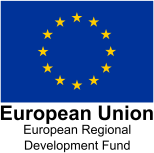 2011-11-22 12:10:00 Huge uptake at Dunston Business Village - So what are you waiting for!